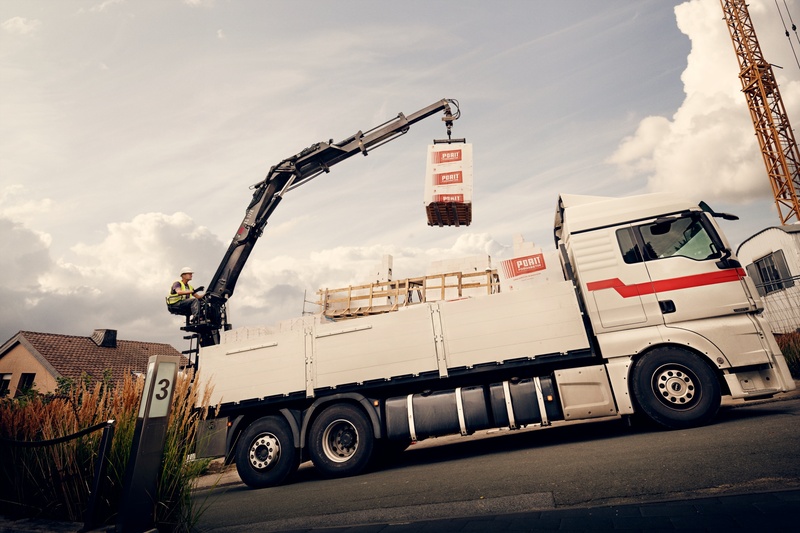 Hiab, part of Cargotec, introduces the new HIAB XS 177K mid-range application crane. Developed specifically for the German market, this 17 ton/meter crane is designed to meet the needs of 'drop and go' transport companies who deliver building materials to sites where a high load-cycle speed and high precision are needed. 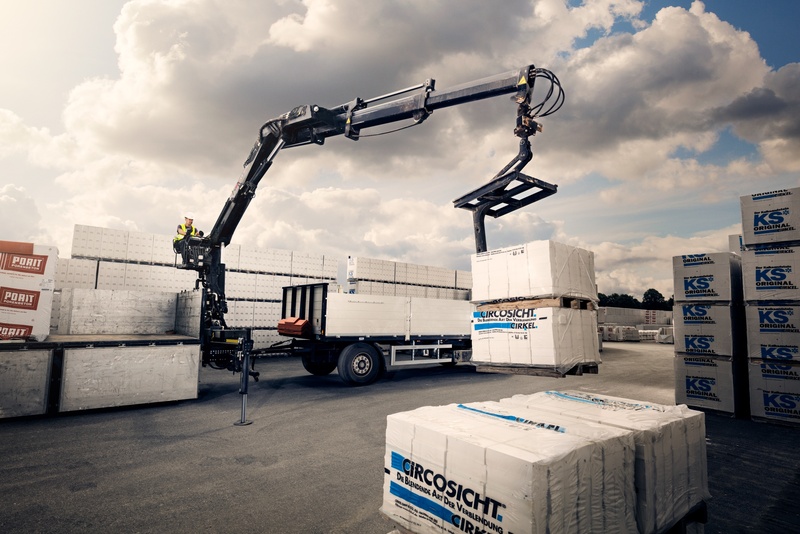 Available in remote-controlled (HiPro) or manually controlled (Pro) versions, the crane offers fast and efficient movement of bricks and blocks packaged on standardised pallets. "We have just made the best even better," says Leif Törnblom, Product Manager, Mid-range Loader Cranes. "Our German customers have very precise requirements for moving building materials, and we have worked closely with them to tailor-make the crane to this application. We are delighted to be able to say that the new HIAB XS 177 HiPro remote-controlled crane has a speed and precision that is outstanding in the marketplace." The long first boom and chain-driven extensions deliver excellent load cycle times compared to other products currently available. The boom can quickly extend to maximum reach, yet has a close-in lifting height of more than three meters, to easily move all the pallets on the vehicle, even those close to the crane's column. The Pro model's control levers are connected straight onto the hydraulic valve, giving the operator a much more direct feeling, to allow him to work quickly and safely. The HiPro control system lets the operator remotely operate the crane from a distance, as needed. 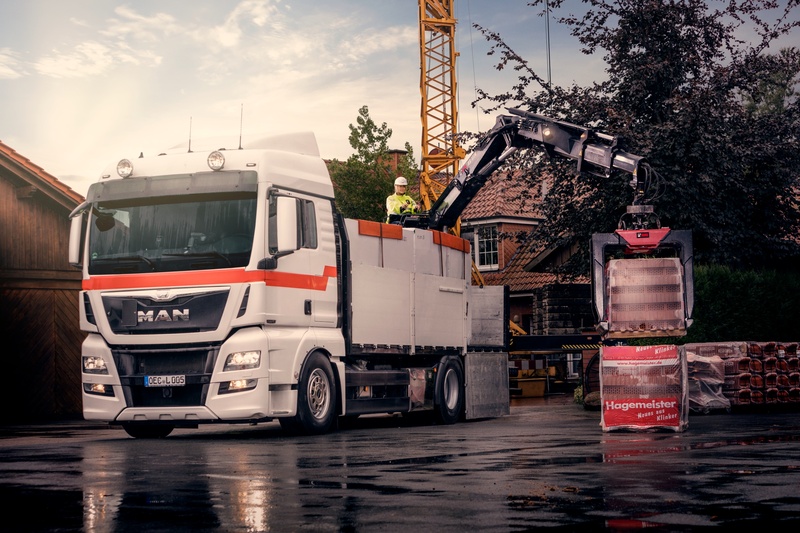 A number of innovations make the crane easier to operate. A high seat gives the operator an outstanding view of the entire work area, whilst placing him in a safe zone from the load. The stabiliser control interface has easy-to-use push buttons, and can also start, stop, and control the rpm of the vehicle's engine. Improved display panels show service requirements, error codes, and information from the Variable Stability Limit (VSL) system. And Hiab's latest electronic safety system, SPACE X4, offers user-friendly operation and monitoring of the crane's performance.